Today I’m going to present a tutorial on how to create a crypto wallet. After going through the tutorial you’ll be able to create your own cryptocurrency wallet, store your coins in it, accept payments in it from other crypto users, and make payments through your crypto wallet. Although we say “store” cryptocurrencies, the coins aren’t actually stored in an account or on your computer. They exist on the blockchain. Wallets simply allow you to access and modify (send or receive) coins with the help of a private key. For more information on how wallets work, check out our beginners’ guide to cryptocurrency trading. Security: I cannot stress it enough that your crypto wallet must be secure and allow you to perform transactions safely. Some wallets happen to be safer than others. Offline wallets or cold wallets are safer than online wallets or hot wallets because they’re not even connected to the internet all the time. The wallet provider should have a good reputation and provide you options to keep your funds safe. Make sure that the wallet provider allows 2-factor authorization. You should back up your wallet every now and then and keep only a part of your funds available in an online wallet. Keep the wallet software updated so that it has all the latest security features and exploit fixes. Anonymity: Every wallet is pseudonymous. So while your name or address won’t be public, your wallet address can be traced and linked to your personal identity in several ways. If you want a higher level of anonymity, you should look at wallets which might be offering this. Supported cryptocurrencies: Some wallets support only the major cryptocurrencies while others support a wider range. If you’re interested in trading a variety of cryptocurrency, you should be looking at setting up a multi-currency wallet. Ease of use: You should pick a wallet that is simple and has a clean, intuitive interface. It shouldn’t require too much effort on your part to set it up. If you think you’ll be using your mobile to access your wallet more frequently, consider getting a mobile wallet that has been designed for this purpose. 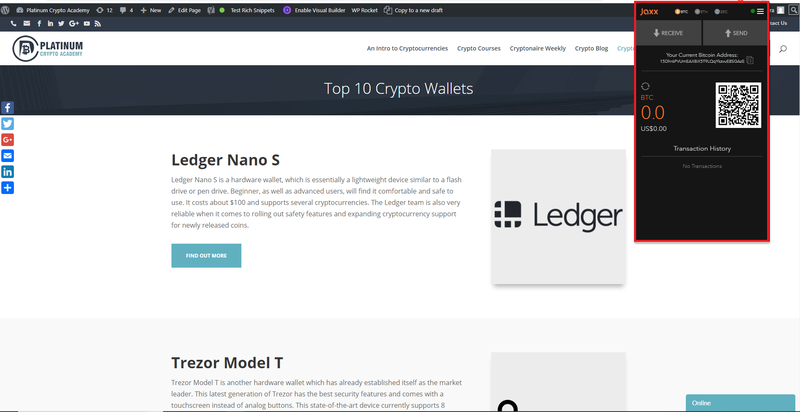 You can check out our curated list of top 10 crypto wallets to get some recommendations. These wallets are the most popular, having all the desired features and safety measures. In this tutorial, we’ll be using the wallet provided by Jaxx.io because it is easy to setup and use; very noob friendly. Jaxx is a very good multicurrency wallet and currently supports 13 cryptocurrencies. It has ShapeShift.io exchange integration which allows you to exchange cryptocurrencies easily from the wallet itself. It has a very active development team which rolls out security updates and new features regularly. It is available on iOS mobile/tablet, Chrome & Firefox Extensions, and Mac/Linux/Windows desktop versions. My personal preference is to use hardware wallets like Trezor Model T or Ledger Nano S.
Hardware wallets are inherently more secure because they allow “cold storage”, which simply means that they’re not connected to the internet all the time and are less prone to attacks or exploits. That’s why hardware wallets are called cold wallets. Software wallets, on the other hand, are always connected to the internet because they live on the internet. They’re called hot wallets because they’re susceptible to attacks and hacks. 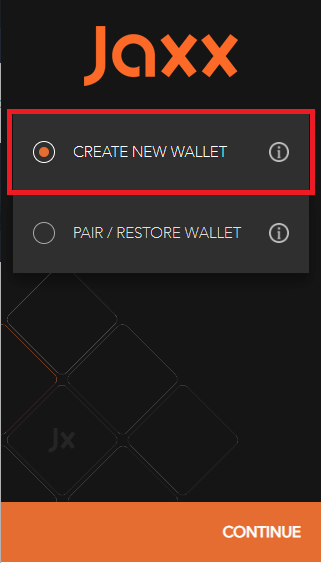 Until you get a hardware wallet, you can use Jaxx wallet. 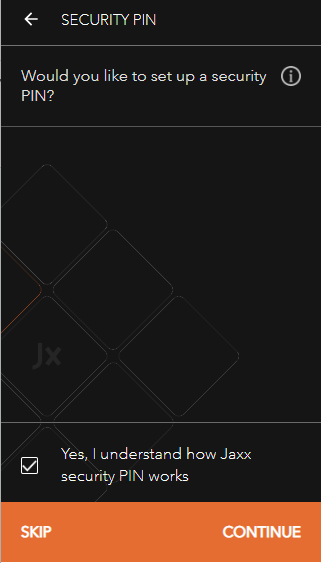 You can download the Jaxx wallet for your desktop, mobile or browser extension from https://jaxx.io/downloads.html. I’m going to demonstrate this using the browser extension for Chrome and you can do the same. Let’s get started. I chose BTC, ETH, and ZEC for the crypto tokens that I’d wish to manage with this wallet. For currencies which I want to be displayed, I chose USD and GBP. Then the setup will ask you if you’d like to backup your wallet. This is an important step so you need to pay attention. 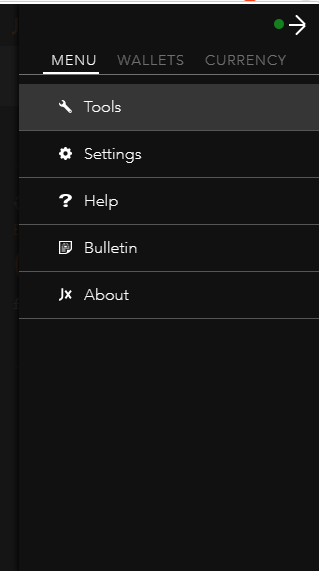 After you check “Yes, I understand how Jaxx backup works” and click continue, you’ll be given a phrase of 12 random words. This will be your wallet’s backup phrase or your “private key”. You can use this to restore your wallet or pair your wallet in any version of Jaxx on any device. Get a pen and paper and write down this backup phrase. Keep it in a secure location. If anyone gets a hold of it, they can access and operate your wallet to transfer funds or make withdrawals. On the next screen, you’ll be prompted to re-enter your backup phrase. The setup guide will then ask you if you’d like to set up a security PIN. I recommend that you do that in order to put a layer of security. 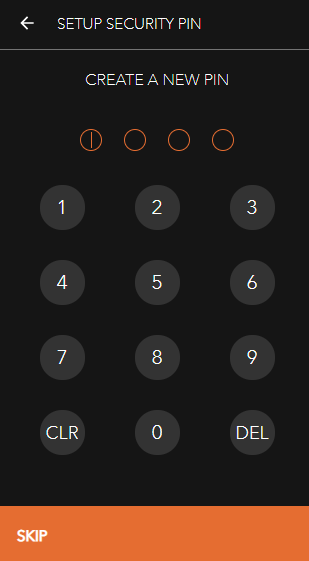 With the security PIN in place, even if someone has access to your computer, they won’t be able to send coins using your wallet or access the pairing/backup features of the wallet. After this, your crypto wallet setup will be complete and you’ll be taken to the default screen that will show up each time you open the Chrome extension. 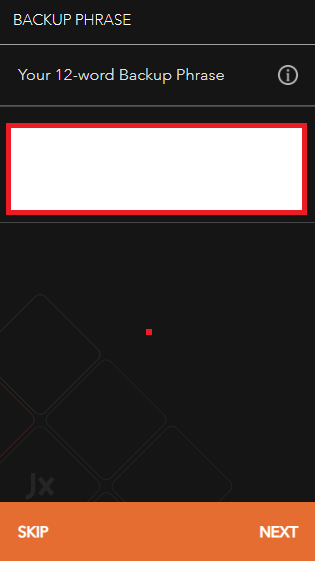 On the default screen, you can see a bunch of different crypto tokens that you chose during setup. 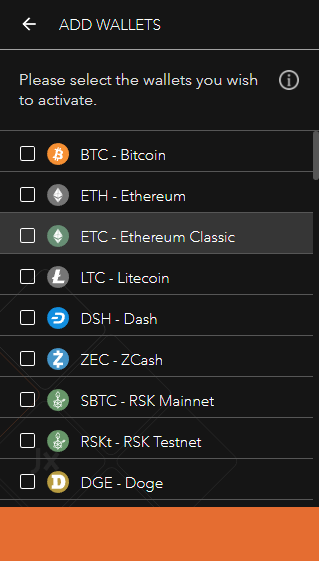 I chose BTC, ETH, and ZEC. For each of these tokens, Jaxx will create a separate wallet so that you can store Bitcoin separately from Ethereum. This also means that for each of the tokens, your wallet address will be different. 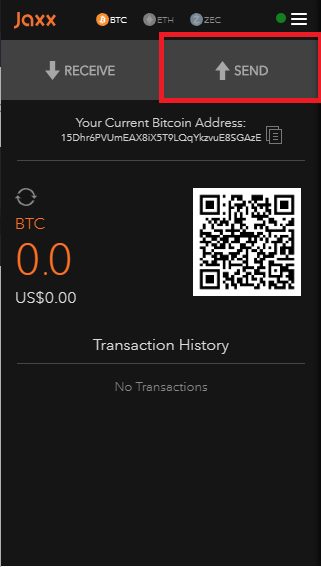 For example, my Jaxx Bitcoin wallet address is 15Dhr6PVUmEAX8iX5T9LQqYkzvuE8SGAzE. If I want someone to send me Bitcoins for some transaction, I’ll give them this address. Similarly, I can buy more Bitcoin from an exchange like Coinbase and then send it to my Jaxx wallet by just putting the receiving address there. Similarly, for sending cryptos from your wallet to an address (your own address on an exchange or a friend’s wallet address) you can click on Send. On the next screen, you can enter the receiving address and the amount that you wish to send. You can explore the wallet’s settings through the menu. 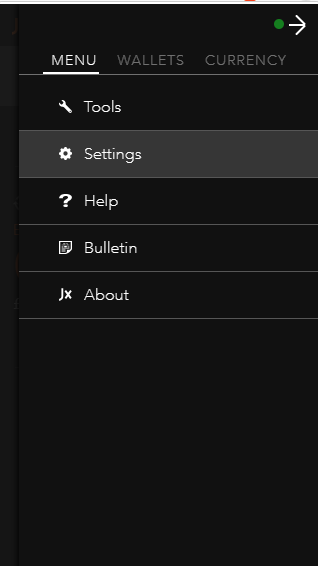 In Settings, you can setup your security PIN if you didn’t do it during initial wallet setup. You can change the PIN. You can also remove it completely but doing so will leave you vulnerable. In Tools, you can backup your wallet as we discussed before. From Tools, you can also transfer a paper wallet to Jaxx. 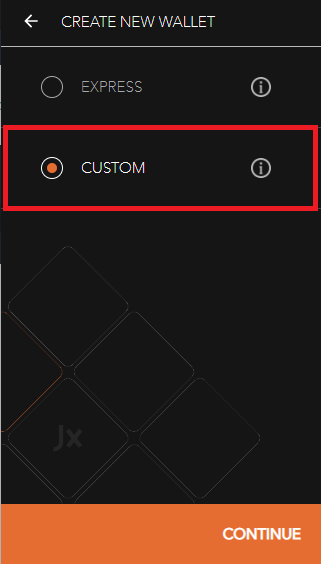 This means you’ll be sending funds from the paper wallet or private keys into your current wallet in Jaxx. There you go. Now you can setup a crypto wallet of your own and start receiving or transferring funds. While you can use Jaxx during the initial stages of your crypto trading journey, I highly recommend getting a hardware wallet as they are very safe.